Dry Eye is a condition that develops when the amount of tears produced is not sufficient to maintain the moisture balance in your eye. This can result in that scratchy sensation, a continuous feeling of dryness, stinging and a sensation of a foreign body in your eye. Ironically in an effort to fight off the condition, dry eyes can cause you to produce excessive tears, which is why some people experience watery eyes. The main function of tears is to maintain the health of the corner of your eye by washing away foreign matter and ensuring that the surface of your eye remains moist, smooth and clear. Tears also rinse away dust particles from your eyes and contain enzymes that protect your eyes from bacteria that can cause infections. Dry eyes can occur naturally as a result of aging or hormonal changes, typically in women who are pregnant, taking oral contraceptives or going through menopause. In fact, women over 50 have a 50% greater risk of dry eye disease than men do of the same age. It can also result from taking certain medications that reduce tear production such as antihistamines, blood pressure medications, and antidepressants. Environmental factors can also play a role in drying out the eyes and DED is common in areas where the climate is dry, dusty and windy. Home air conditioners or heating systems and excessive time spent staring at a computer or television screen can also dry out eyes and exacerbate symptoms due to the lack of blinking while staring at our screens. Typically, dry eye disease can be diagnosed through a comprehensive eye exam and a description of your symptoms. On some occasions, the eye doctor might decide to do a test that measures how quickly your tears evaporate from the surface of your eye. By instilling a simple dye called fluorescein (much like food coloring) the doctor is able to watch and count how long it takes the tears to start to break up after they’ve asked you to hold your eyes open after a blink. This is called TBUT or a Tear Break Up Time test. A low TBUT generally indicates a lipid (aka oil) deficiency in the tears resulting from oil glands in the eyelids not functioning properly. In another type of test, called a Schirmer test, a strip of filter paper is placed under the lid of the eye and you will be asked to close your eye for five minutes. Following the test, the amount of moisture on the strip will be measured. Schirmer tests are performed less frequently than a TBUT test. Dry eye disease won’t have a permanent effect on your vision, but there is no reason to endure dry, itchy and uncomfortable eyes, especially since there are so many treatment options to increase moisture and comfort. It’s also important to realize that this is a chronic disease that needs consistent treatment. Your doctor will work with you to create a long term strategy to keep your eyes as comfortable as possible. 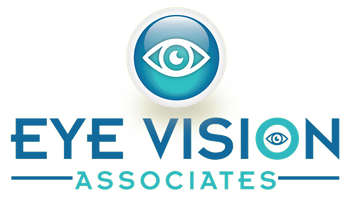 There are many treatment options for dry eyes which are highly dependant upon the cause and severity of the condition. If the cause of your dry eyes is something external or environmental, eliminating that cause may solve the problem and resolve the symptoms. Avoid dry environments, hairdryers, heaters and fans, (particularly directed toward the eyes) and smoky environments and wear eye protection such as wraparound glasses or goggles when in dusty or windy areas. Use a humidifier to add moisture to dry indoor air. If working on the computer or watching television, make sure to blink purposefully as our natural tendency is to reduce our blink rate when staring at a screen. Also, avoid rubbing your eyes as this can further irritate them. Staying hydrated by drinking at least 8 to 10 glasses of water per day can also help. In cases where discontinuation or switching to different medications is possible this can eradicate symptoms. 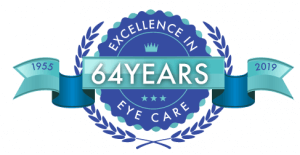 Your Lake Ronkonkoma doctor may also recommend that you limit or refrain from contact lens use for a certain amount of time or switch to a different brand or type of contact lens which will reduce dehydration. Have you been wearing contact lenses comfortably for years, but now your eyes feel dry, scratchy and irritated? You’re in good company.